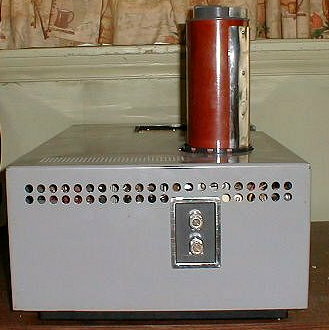 Image 1: Front view. Controls on the front of the instrument on the control panel include the 4000-1200/1333-400 cm-1 switch upper left, the stop/reset/fast/slow scan control lower left, the slit control middle, on/off switch top right and the sample beam attenuator control lower right. 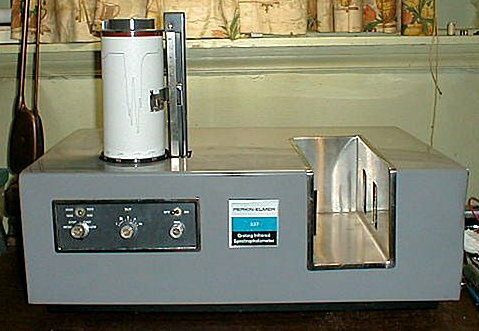 Image 3: chart holding drum shown removed from the instrument. 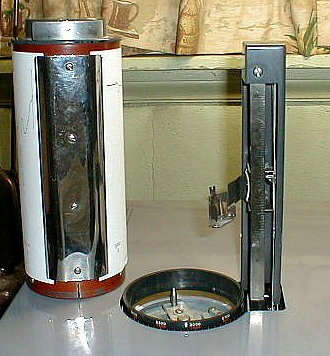 The lever on the top of the drum is used to open the clip holding the chart paper.